Mexican agave farm worker Porro Camorra never meant to do anything wrong. He is in love with his girlfriend, but when she becomes pregnant, his life is in danger. Fleeing the vindictive wrath of her enraged brothers, who have sworn to kill him, Porro runs for the border. But when he reaches the barrier between Mexico and the United States, he finds more than the safety he seeks. As he is thrust into a mystical realm, he must agree to a fascinating but dangerous bargain in order to reclaim his place in the world. 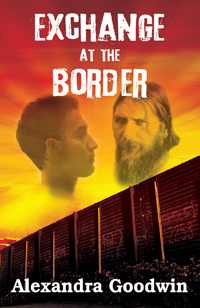 Vivid, inventive, and suspenseful, Exchange at the Border is a thrilling and colorful exploration of the timeless battle between good and evil, with a story and characters that will keep you spellbound. Alexandra Goodwin was born in Buenos Aires, Argentina, and came to the United States as a student. 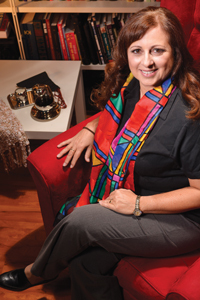 She lives with her husband Craig and their two poodles in Coral Springs, Florida. Exchange at the Border is her first novel.